Handmade in Italy, Illesteva's eyewear collection radiates a cool contemporary edginess. 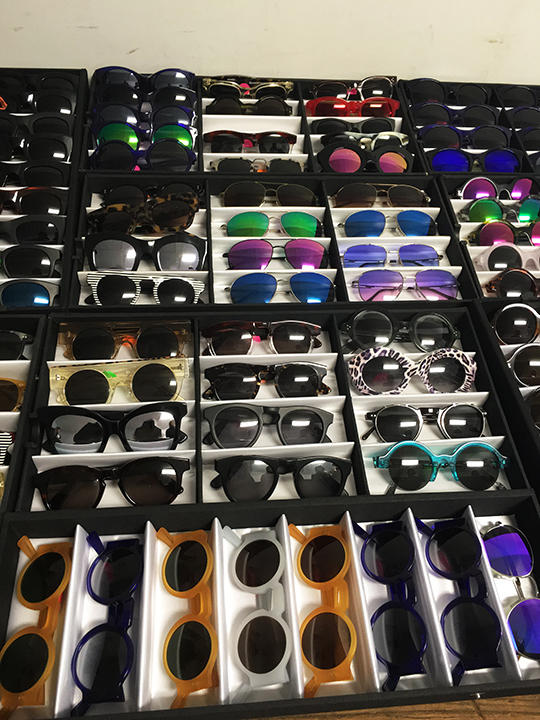 Their uniquely designed frames are great for adding urban polish to everyday looks and for that reason many celebrities, models, and fashion icons fall head over heels for their sunnies. 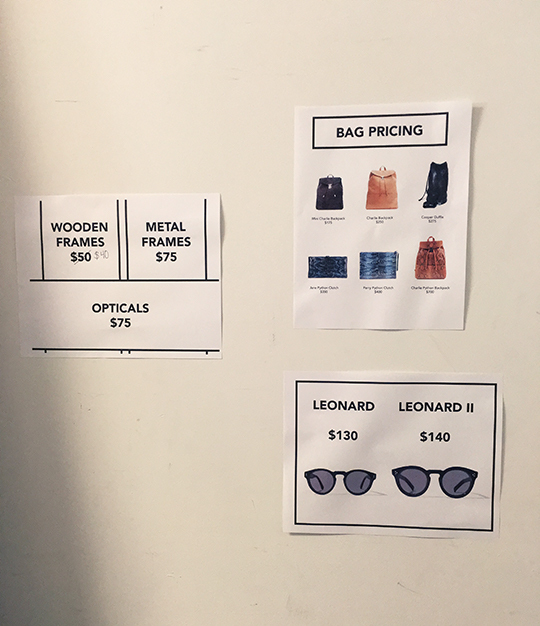 This morning, the New York-based brand opened their doors for a 3-day long sample sale in SoHo and I was there to check out the discounted merchandise. So, let's look at what the sunny side has to offer, shall we? Looking for "spec"-tacular deals? 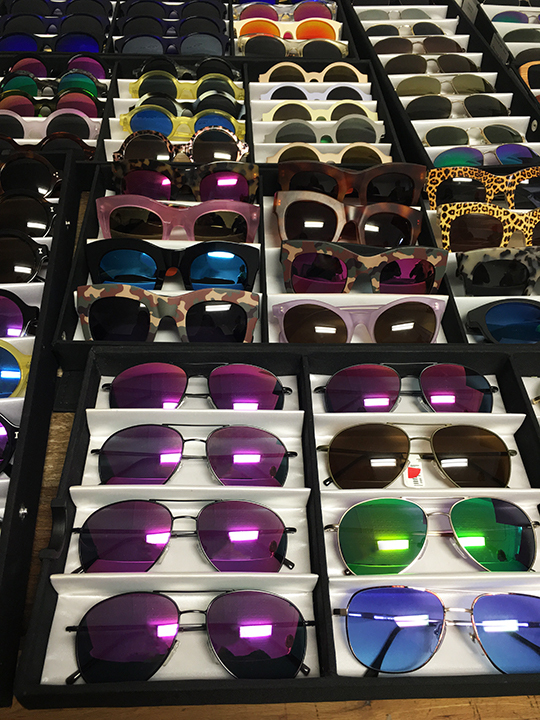 The Illesteva sample sale offers prices as low as $40~$140 on their Italian-crafted frames. 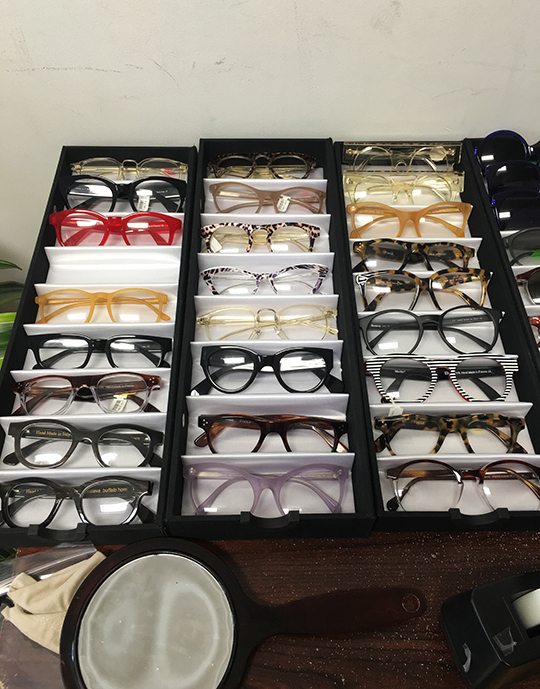 To be a little more specific, the price list included $40 wooden frames, $75 metal frames & opticals, and $60~$110 sunglasses. In addition, the house's signature styles, Leonard and Leonard II, were marked down to $130 and $140, respectively. 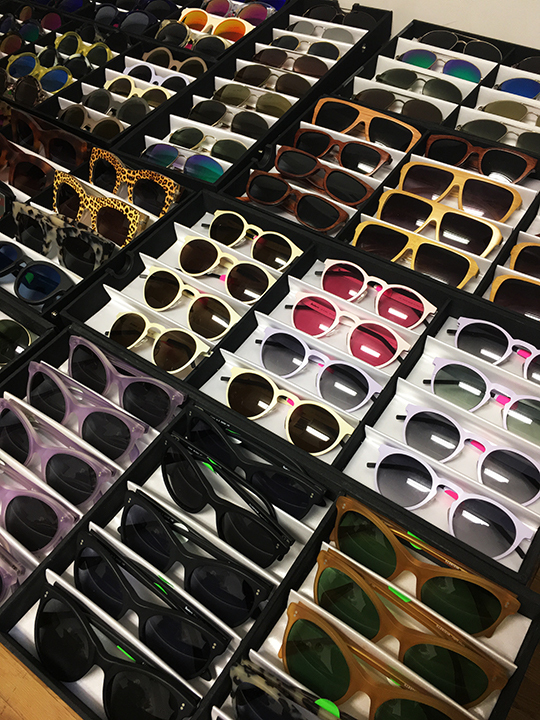 In terms of inventory, I found sunglasses in Emmanuelle, Hudson, Holly, Corsica, Lispenard, and Murdoch as well as a wide selection of opticals. 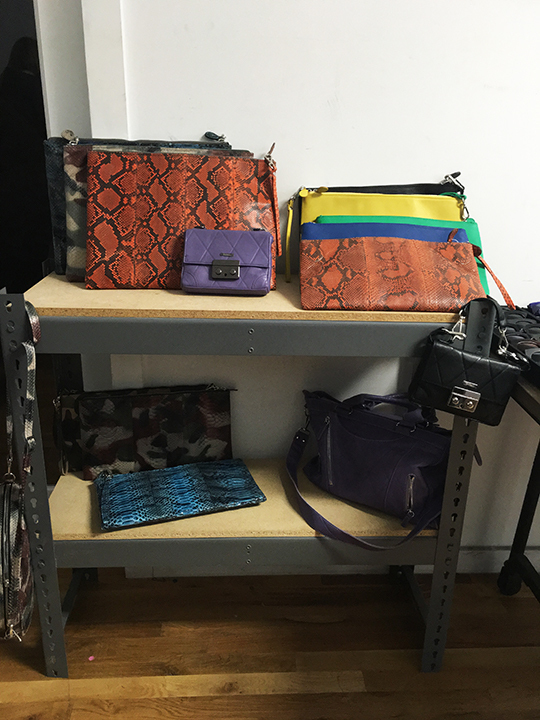 In addition, the sale also had on hand a small assortment of leather goods. Charlie backpacks were $175~$700, Cooper duffles were $275, Jane python clutches were $350, and Perry python clutches were $400. 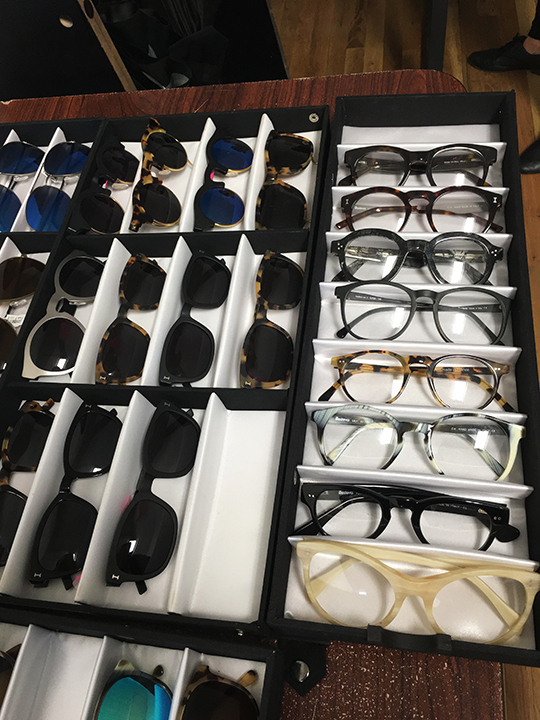 Although the sun-beaming season is still months away, the sale offerings and price points were enticing enough that I would highly recommend stopping by if you're in the market for eyewear. And don't forget to grab a free soft cloth pouch at the checkout counter when you purchase (hard cases are $10).